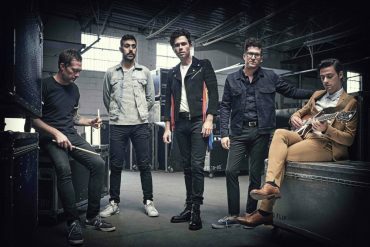 Arkells kick off their EU and UK tour with a new performance video of Hand Me Downs which they recorded in Toronto with Frank Turner while he was touring with them. The track is taken from the band’s critically acclaimed new album Rally Cry. Watch and listen below. Every night we got to watch Frank Turner and The Sleeping Souls create these collective moments of unity with the crowds. These sing-a-longs at these shows are kind of stunning – so much joy, so much heart… The alchemy of watching Frank every night; and listening to Joe (Strummer) helped inform the beginnings of Hand Me Downs. When Arkells were touring with Frank Turner through the US and Canada, they invited him to the studio to record a live version of the song. He’s a gamer, of course: he came in a little hungover, but ready to run takes. 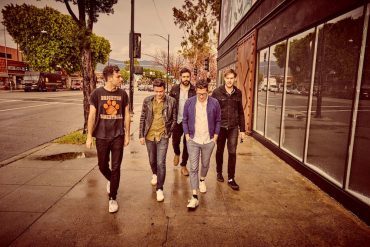 Arkells’ headline tour of the UK and Germany starts tonight in Cologne and stops in Manchester, Leeds and London among others. Felix Hagan And The Family will be supporting on all dates. All dates and remaining tickets can be found below.